The Length of Service Award Programs for firefighters and other emergency service volunteers enjoys a unique status under the Tax Code. 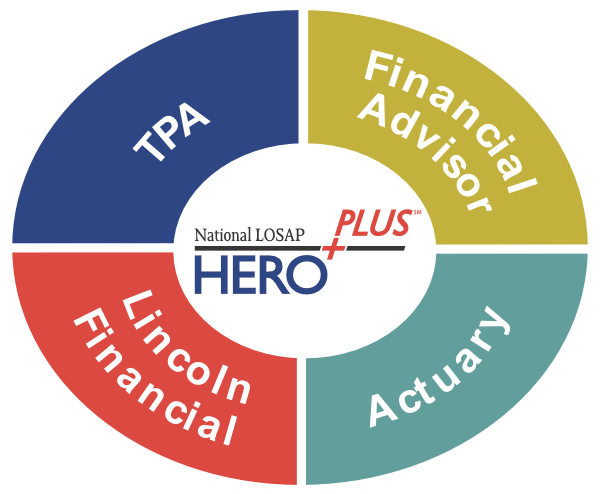 This means that the template plan document that is provided as part of the HEROPLUS℠ program is not one which is required by the Tax Code, and is not subject to a determination letter process by the IRS. However, because of state law concerns-as well as sound business practices- the program requires that the LOSAP sponsoring agency adopt a formal plan document that is based on the template. The template document is structured in such a way to outline the Tax Code requirements for a LOSAP, while allowing the Sponsoring Agency or its advisers to easily incorporate state and local law requirements, as well as unique design features, into the plan. It is designed to accommodate both “defined contribution” as well as defined benefit” types of LOSAPs. It has a simple Adoption Agreement which simply lays out key features under the most common programs, as well as a “basic” plan document which contains the important administrative terms which will govern its operation. Generally, it gives to the Plan Administrator significant authority and discretion in the operation of the plan. Because there are important tax ramifications for volunteers related to the adoption of a LOSAP program, independent tax advice should be sought. This information is not intended to be tax advice, and cannot be relied upon by for the purpose of avoiding penalties resulting from federal tax positions taken by the taxpayer in connection with LOSAP transactions, and is not intended to provide legal advice to any party. Law Office of Robert J. Toth, Jr.